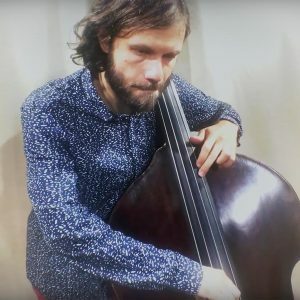 Double bassist Andrea Di Biase graced us with his presence and his early 20th century double bass and here is a recording and video made with iPhone 6S using the DPA d:vice™ interface. We used a d:dicate™ 4018G supercardioid mic (like this kit but with the 4018 capsule instead of 4011) with supercar on a GSM4000 gooseneck shock mount alongside a d:vote™ 4099B Bass mic. Using the d:vice™ in dual mono mode, we summed the two for the final output. Apart from that, no extra processing has been done. The DPA d:vice™ Audio Interface connects to iOS devices, Mac and PC and is loaded with incredibly high quality A-D converters and DPA microdot preamps ensuring you get the most out of your DPA microphones and flawless mobile recordings every time. Read more about the DPA d:vice™ here. Check out Andrea Di Biase on his website here.